Here is the roundup of what's new in Invision Community 4.2! Promoting Content - A new way to promote content in your Community internally, on Facebook, and on Twitter. 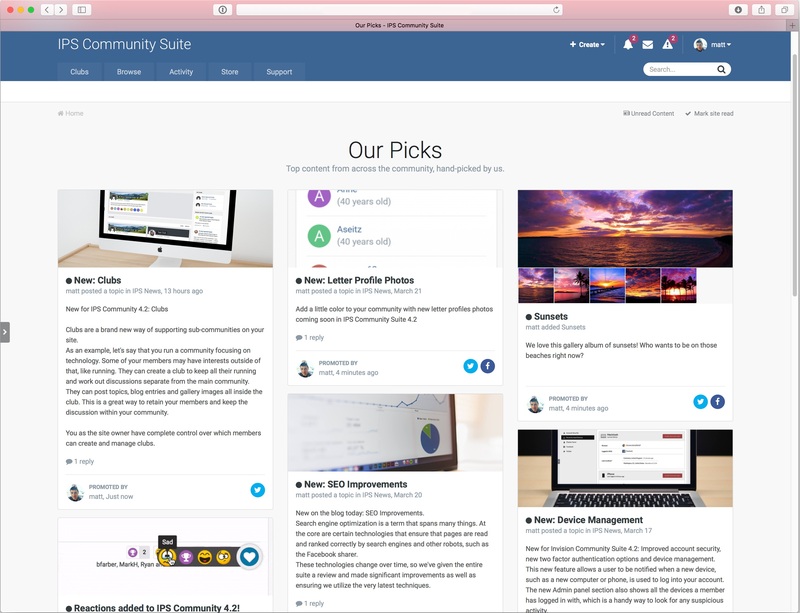 Clubs - Clubs are a brand new way of supporting sub-communities within your site. 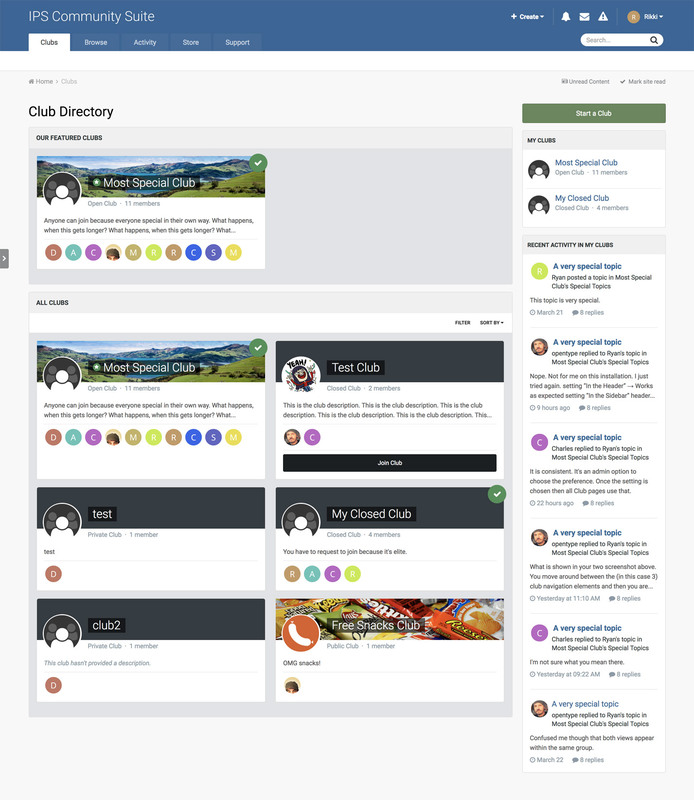 Many people have requested social group functionality in the past and Clubs are our implementation of this concept. Reactions - Offer more fine-grained sentiments towards content than a simple up/down or 'like'. They are now in common usage on social networks, and so users expect to be able to be more nuanced in their response to something they see. 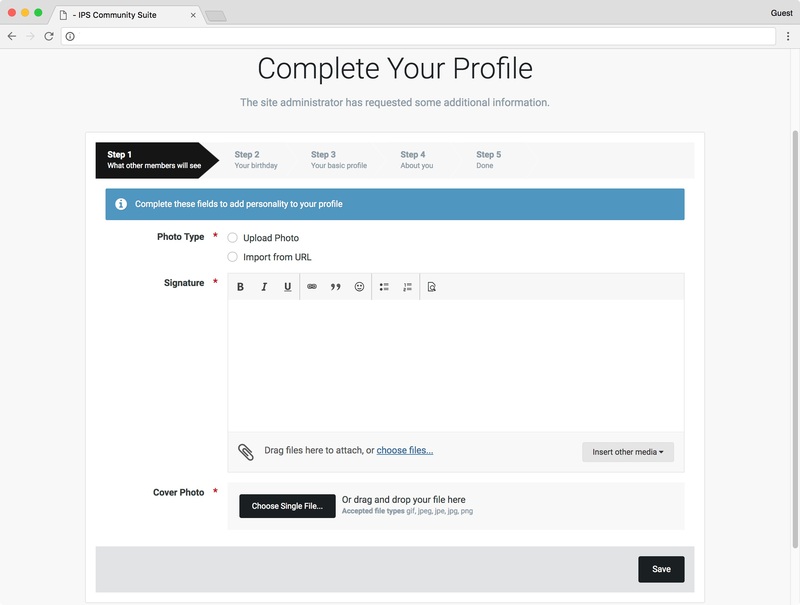 Complete Your Profile - Encourage or require members to fill out the details on their profile. Also now allows for quick registration to encourage joining. It goes on... here is the full list! Be sure to visit each entry above for more information and screenshots. We hope you enjoy Invision Community 4.2! The final release will be available summer 2017. The supported, public beta is available in the client area now.